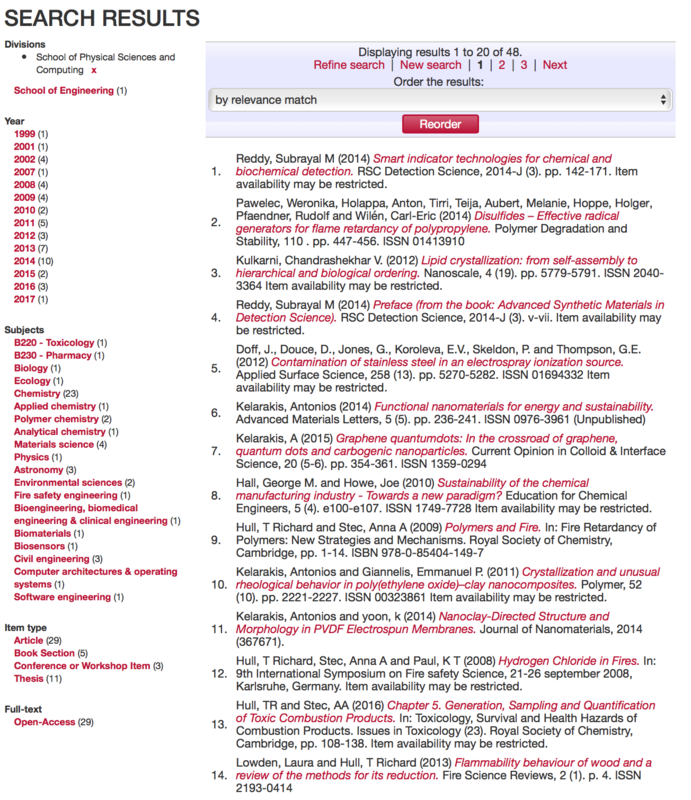 Building on the success of the Xapian search engine which has been in EPrints for some time, we have now finished the new ‘faceted search’ interface. Also known as ‘search filters’ or ‘guided search’. This is an alternative way to explore the contents for your repository, which can sit along side your existing installation. Once you have entered initial search terms, you are offered a number of contextual filters to better refine the results. 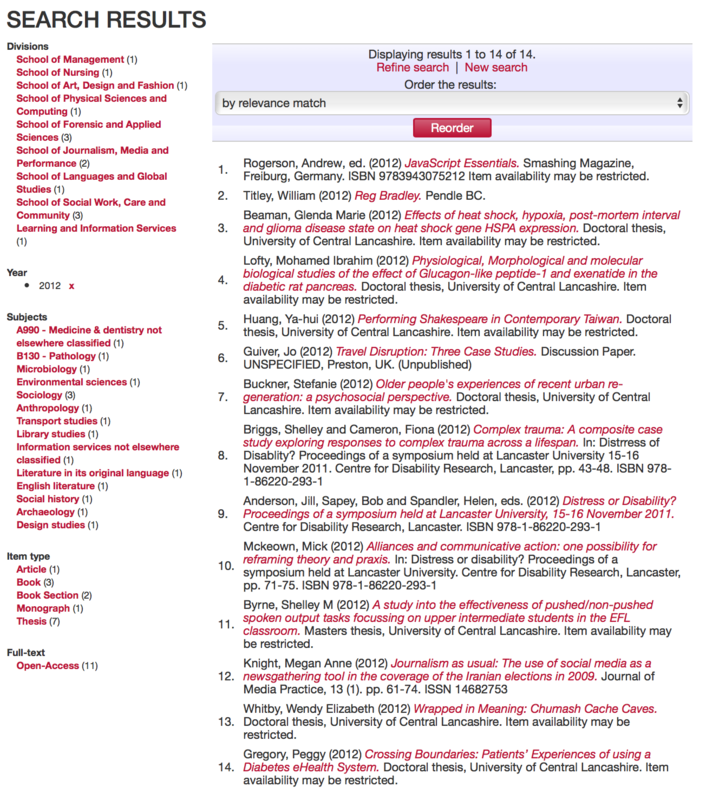 Faceted search is exclusively available to hosted EPrints Services customers.